Telephone systems are essential to the operation of a huge range of businesses, across a variety of industries and sectors. Knowing which option might be best for your business can be difficult - this page has been designed to ease the process. As with any other form of office equipment or service, your business will want to get the best product for the best price; and like with other equipment, what is best for you may be different to what works for others. This guide is designed to inform your decision process so that you can choose the best service possible to ensure that your staff can work as effectively as possible. If you want to find out more about telephone systems and the options available to you, simply continue reading. Otherwise, if you would like to compare quotes from UK suppliers today, just complete the form above. Using Approved Index’s quote comparison is free, quick and easy, and it could save you money on your purchase and installation costs. Outside of the business world, people probably consider a telephone system to simply refer to the phone itself; generally, people will not consider the variety of phone available, or the diverse range of tools that can be used to improve the functionality of the system. The most basic telephone system will include at least one phone - although it can include many more - and the wires to make it work. More complicated systems could also include extensions and other tools like switchboards and conference call extensions. 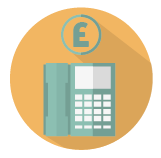 Even small businesses will usually require added functionality, and for businesses that rely on a telephone system for revenue generation is it vital. Business telephone systems are designed to streamline communications; they allow companies to create processes and systems that can upscale operations significantly. Indeed, for a lot of businesses, it would be incredibly difficult to operate as effectively as possible without this equipment being used. As mentioned above, telephone systems come in a variety of forms, and it is not only equipment that needs to be considered. The type of service you use also matters. This section is designed to provide a little insight into the operating systems available. Follow the links attached to each for even more details. 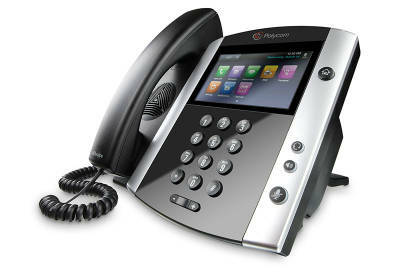 VoIP telephones are a popular option, with a number benefits that can improve functionality for a range of businesses. This type of phone operates over the internet rather than using telephone lines. A VoIP phone system uses the same network as your computer system and can be managed with a software dashboard rather than using the physical switches typical of traditional options. 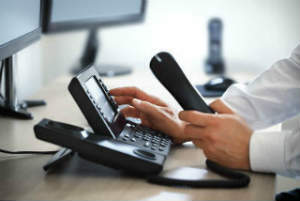 Because VoIP uses the internet to transfer data, it is important for businesses that they have a broadband supply capable of supporting telephones. To find out about the suppliers that offer this form of communication, visit the UK VoIP providers page. 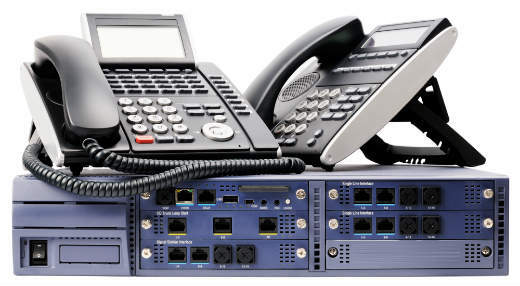 SIP trunking is a process that businesses can use to upscale their legacy equipment. Rather than having to completely replace older telephones, SIP trunking allows you to upgrade them to work with more modern operating systems. SIP trunking is especially useful for companies that originally spent a lot of money to purchase their telephone system and do not want to see the investment wasted. SIP trunking was first introduced to overcome potential bandwidth and quality issues that may arise with older equipment. By employing a dedicated network - or trunk - for voice data, issues with call quality can be avoided. SIP trunking is an excellent choice for businesses that do not want to buy a new phone system, and also for businesses that already own high-quality equipment that can be upgraded to operate alongside modern tools. 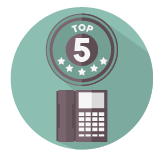 To compare telephone systems today, simply complete the form at the top of this page. PBX phones are a direct evolution of older-style switchboard systems - they are, essentially, a box through which all of your phones are connected. The PBX is used to manage connections both internally and also to the public system. When making a call, PBX locates an available line, and when receiving calls, it distributes to the appropriate internal user. With PBX, your telephone system is operated independently of any other hardware and every tool or piece of equipment - phones, fax machines, franking machines - will have a wire that runs directly to the exchange. ISDN phone systems allow your staff to transmit voice, video, data and other network services all at the same time using the traditional public switched telephone network. An ISDN phone system essentially allows businesses to combine all of their various communications channels into one, without forcing them to invest in a number of analogue phone lines to handle extra transmissions. The main benefit of ISDN lies in the ability to facilitate a number of digital channels simultaneously, without sacrificing quality. Multi Line telephone systems are an incredibly popular option for businesses of all sizes. 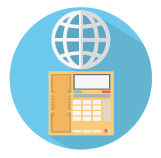 They provide you with everything your business will need, from key systems to PBX functionality. The good news for multi line users is that it is possible to upscale, upgrade and change equipment if you want to move to other systems. Implementing VoIP or PBX, for example, is very possible and can be a good way to avoid losing functionality. There are a number of multi line phone systems for businesses looking for new communications options. To find out which option would suit your business, you should complete the form at the top of this page. Functionality is essential for any business, which is why telephone system features are an important factor when it comes to choosing the system most suitable to your business. Certain businesses may require very specific features to function - for call centres and sales teams that rely on their communications systems this is especially likely to be the case. In these industries, it is essential that you consider very carefully which phones you will need to ensure that your staff can operate as well as possible. For more detailed examples of what sort of functionality you will require, visit the page linked to above. Otherwise, the table below might give some insight into what kind of basic options are generally available to you.